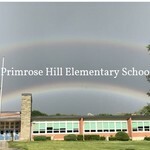 Primrose Hill School Parent Teacher Organization hasn't added a story. Our beloved Primrose Hill school playground, now close to 30 years old, needs an update! The Primrose Hill PTO and the Barrington School District have teamed up to launch the Primrose Hill Playground Capital Campaign. Our vision - created by parents, teachers, recess monitors and students - is to create a new playground that offers developmentally-appropriate play for grades 1-3; is ADA-compliant; provides shade options on those warm, sunny days; creates communal gathering options for members of the community; and, most of all, is FUN!!!! Our goal is to complete the playground by the end of this school year. Our goal is raise $80,341 to make this a reality. Can we do it? YES - with your help!!! Our sincere thanks to the many community members that have already made a gift to support the Primrose Hill Playground Fund. Thanks to you, Phase One of the project, which includes a new shade structure and swing will be installed during Fall 2018. Please know that each and every gift, no matter the size, will help make this dream possible for all our children. Primrose Hill School Parent Teacher Organization hasn't posted any updates yet. Primrose Hill School Parent Teacher Organization is managing the funds for this campaign.